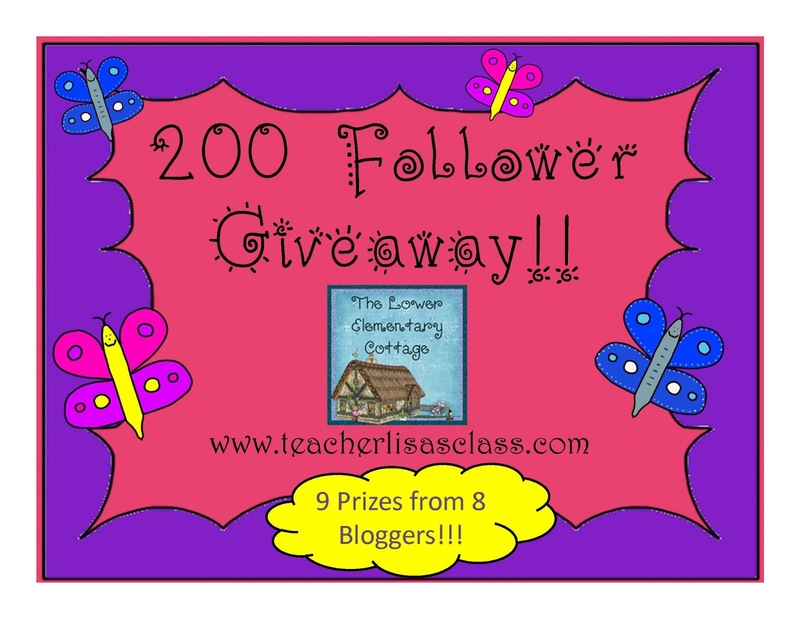 The Lower Elementary Cottage: 200 Follower Giveaway!! Prizes from 8 Bloggers!! I'm so excited this day is finally here! My 200 Follower Giveaway!! It's time for YOU to WIN amazing goodies from some amazing bloggers! There are so many goodies to share! Take a peek below and enter for your chance to win!! 1) First up: ME!!! I'm giving away any TWO products from my store! 2) Linda from Primary Inspiration is giving away any item in her store! 3) Bex from Reading and Writing Redhead is giving away her 2nd Grade Writing Prompt Collection! 4) Amy from Teaching is Sweet is giving away your choice of an item from her store! 5) Tara from Science in the City is giving away ANY product from her store! 6) And it wouldn't be MY giveaway without a SPED blog prize!! 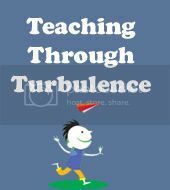 Heather from Teaching Through Turbulence is giving away one of her Butterfly Life Cycle packets! 7) Teresa from Fun in K/1 is offering up your pick from her TPT store! 8) Sara from Miss V's Busy Bees is donating a product from her store too!! Congrats on your milestone! Here's to the next hundred! I wanted to add that your blog design is so dang cute!!! Aww thanks! I worked with Honey Bunch until it was exactly what I dreamed of. They were great!! Congratulations! I am not a blogger. Just love reading blogs! I am a blog stalker too! Congrats! Congrats! I love you blog! Great giveaway and congratulations! Love your blog! Congratulations! I just clicked over from Primary Inspiration. I will be checking out some of your other posts! Congratulations! I am not a blogger but I do love following and reading other blogs.